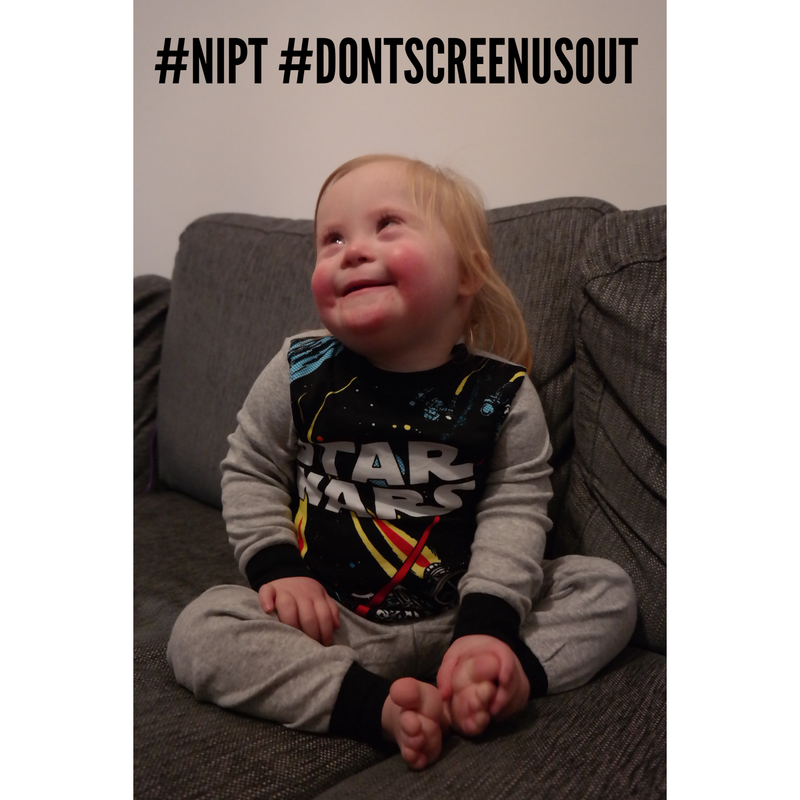 NIPT (non-invasive prenatal testing) is being hailed as an amazing breakthrough now available on the NHS in the UK, that will save so many babies. The theory is, women will be offered this testing and there will be no need for an amniocentesis – which carries a risk of miscarriage. No need for further testing because this non-invasive test will give you an accurate answer on whether the child you are carrying has Down’s Syndrome (or Edward’s Syndrome or Patau syndrome) and then you can be prepared for their future (aka you can abort). Ok, that’s harsh, but when you consider 9 out of 10 woman abort when finding out their child has DS through amniocentesis (generally quite far down the pregnancy time line), how many will choose to abort when having this accurate test at 12 weeks? This has rocked the DS community because we are basically heading towards the elimination of Down’s Syndrome altogether. 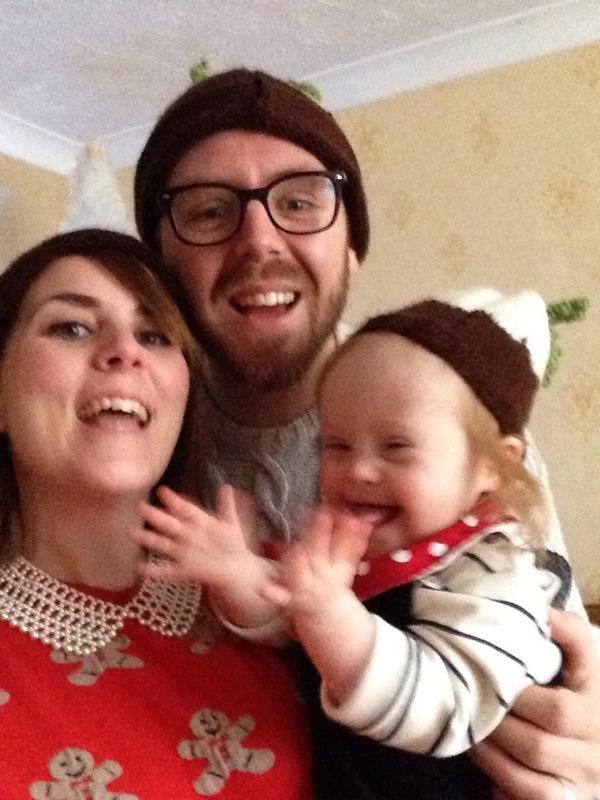 Which feels like a pretty crazy concept when you actually have a child with DS. 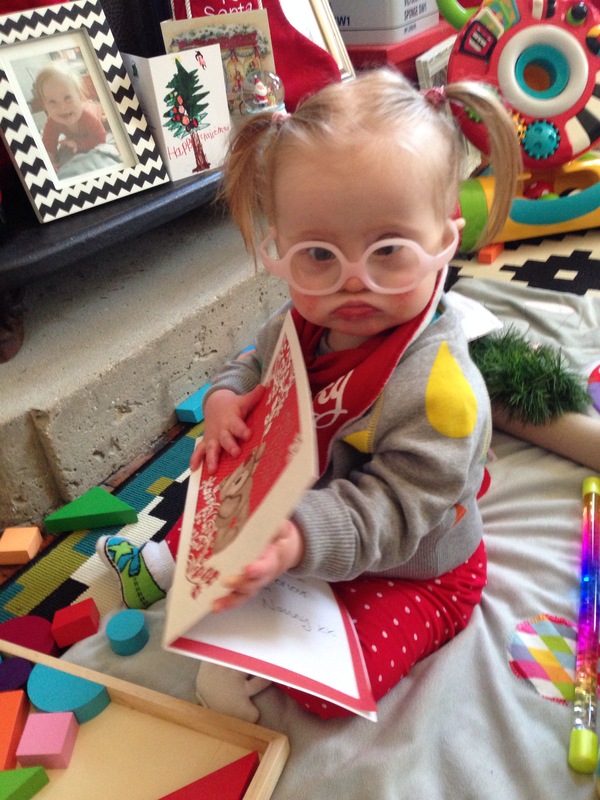 We’re part of a community that will cease to exist, but not only that, it will cease to exist because society decided that babies with Down’s Syndrome have less value than ‘typical’ babies. That their lives are so tough(?) troubled(?) unhealthy(? ), that they are better off not living. How do we explain this to Audrey? I do of course have to acknowledge that 80% of babies with Patau syndrome will die before they turn one. I do understand that some of the conditions identified early will be extreme conditions that are not the same or similar to DS, so a breakthrough like this may save heartbreak further down the line. And I don’t want to wade into this debate without acknowledging that we are screening for abnormalities and health problems. 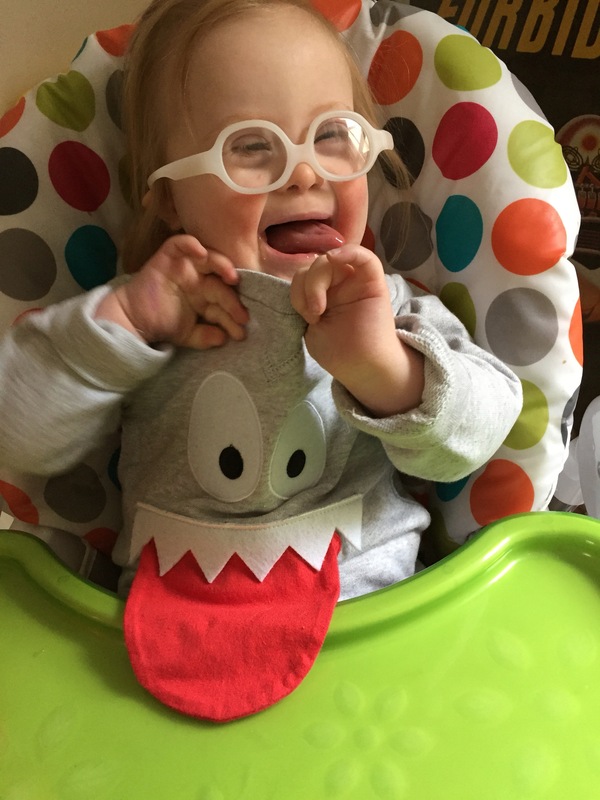 It’s just that I spend my days immersed in a world where people with Down’s Syndrome are making a difference, they are enriching lives and fulfilling a role within society. They are not something that needs to be screened out of existence. Let’s imagine you are given power and options when you are pregnant and you can fill out a questionnaire choosing various traits and facts about your fetus – shaping them and their future. What boxes would you tick? Would you like this child to be born disabled? Would you like this child to wake up at 5am a lot? Would you like this child to be a fan of One Direction? Would you like them to be slutty? Would you like them to become a member of UKIP? Let’s face it, we have little control over what that fetus will become. We can do our best to nurture a good human being. Someone fun, kind, clever… Someone who finds a perfect career and true love and happiness. Someone who looks after themselves and their family. But nothing is guaranteed. The only thing I can guarantee about having a baby, in my limited experience, is that you will love them unconditionally. They will be the best thing you ever did. The most beautiful thing you ever saw. The most valuable life to you. 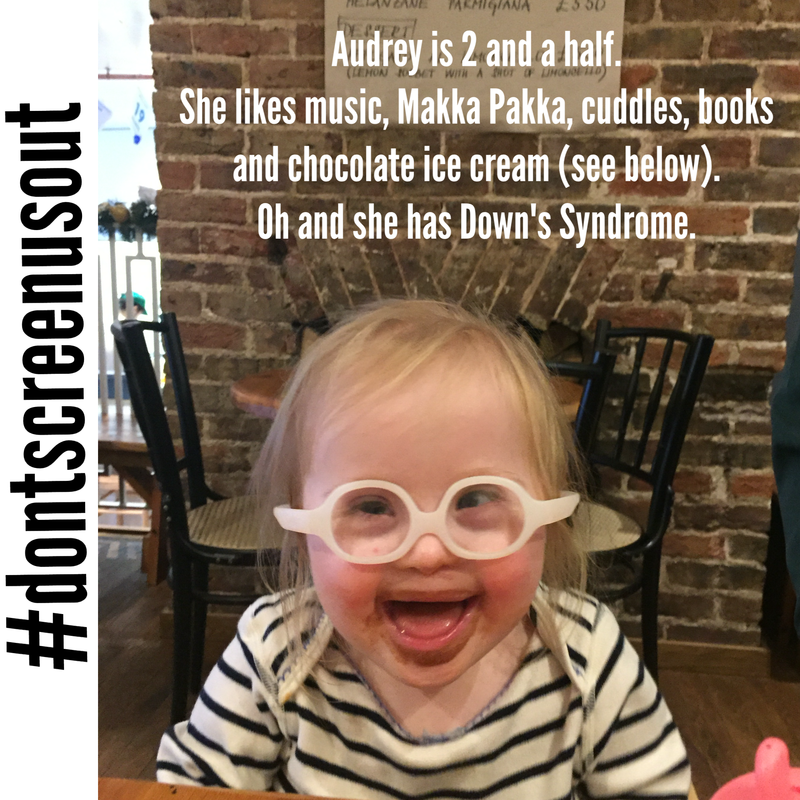 It scares me that a screening test will tell you your fetus has Down’s Syndrome and that’s what will define the baby. You’ll imagine a disabled child. You won’t know anything else about them. The screening won’t say their face will light up at the sight of yours. That they will dance like crazy to even a hint of music. They will clap and cheer and cuddle their teddy and say “They did it!” when someone wins on a gameshow. They will stroke your face and say “lovely”. When they hear you say “kitchen” they’ll do the Makaton sign for “chicken”. They will constantly crack you up, surprise you and frustrate you. Your world will revolve around their happiness and wellbeing and you’ll love it. 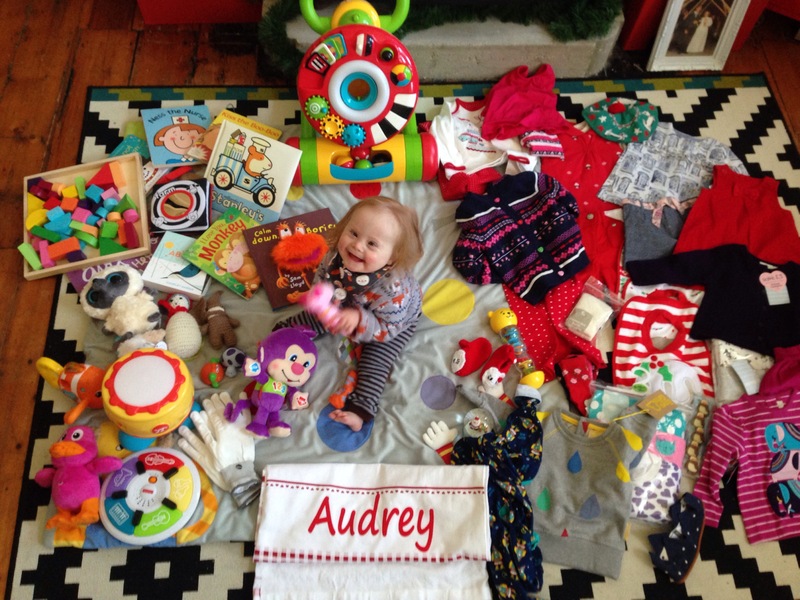 When we had Audrey, we didn’t know if we were having a boy or girl and we didn’t share our baby names with people. We were looking forward to the surprise. Strangely, my mother, who was obsessed with us promising that we wouldn’t make a name up or have something American sounding that’s really a surname (Taylor, Page, Madison…), found Audrey to be a shock name choice. My brother overheard her telling relatives on the phone (as she rang around to confirm Audrey’s arrival); “They chose the name Audrey as they love Audrey Hepburn and Vicky loves The Rocky Horror Picture Show so much” (!). Hilarious. Yes, she meant Little Shop of Horrors and, no that wasn’t really part of the naming process. Anyway, this was post was drafted to announce a little “Audrey 2” in my tummy, but sadly it’s sad news instead. A few weeks ago, at 10 weeks pregnant, we had a miscarriage. As I type that, it does feel strange to be sharing something so personal online, but the fact is, it happened and we’re ok. When I lost my job, I was about 5 or 6 weeks pregnant and I was instantly worried about how we were going to cope financially and also how on earth I was going to apply for jobs knowing I only had 6 months worth of work before going off to have a baby. But we had to get on with things and the pregnancy was good news, so we couldn’t let redundancy overshadow this. The timing was very similar to Audrey, her due date was 17th July, this baby’s was 2nd July. So like my pregnancy with Audrey, we planned to tell family at Christmas, with a toast to the new baby on Christmas Day. Sadly, this was not to be, but we were very lucky in that this happened to our second pregnancy, so we had Audrey around to keep us smiling. She made all the difference. And at 10 weeks, we weren’t too far along. It was devastating, we had started planning for Audrey 2, but it wasn’t quite as I had imagined. Not quite like the drama in the movies… for example, we got the bus to the hospital. Seems so silly now. The early pregnancy unit is closed on weekends, so we had to sit in A&E for an hour or so. It was… unpleasant. We still hope to grow our family and would love for Audrey to be a big sister, but we recognise how fragile human life is and how lucky we are to already have a beautiful daughter in our lives. Sorry for this depressing post. Belated Christmas wishes to you all and have a Happy 2015!